Fancy treating your significant other to dinner under the stars? 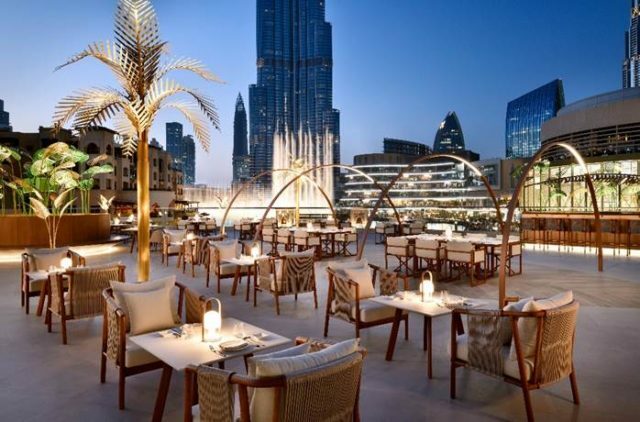 Zeta, which is actually named after a star, is an alfresco dining spot with romantic vibes, stunning views of the Burj Khalifa and the Dubai Fountain, and live music. If you’re still making plans for Valentine’s Day, Zeta has a special 4-course set menu on offer from AED 325, which includes a box of homemade chocolates and a red rose. 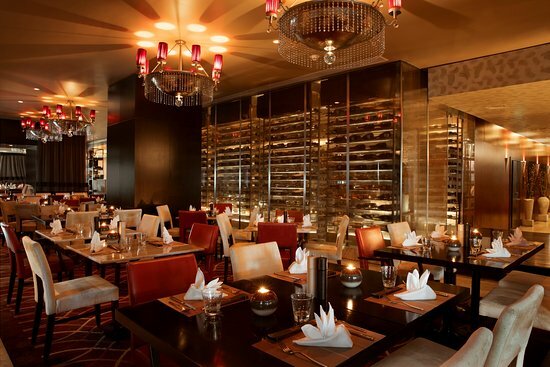 If your date loves Thai food, you need to book a table at Thiptara Dubai for your next date night! 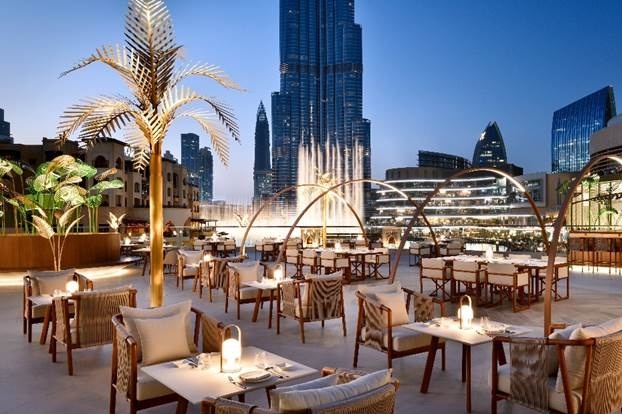 This restaurant serves some of the best Thai green curry in town, which you can enjoy while watching the stunning Dubai Fountain show from the terrace. 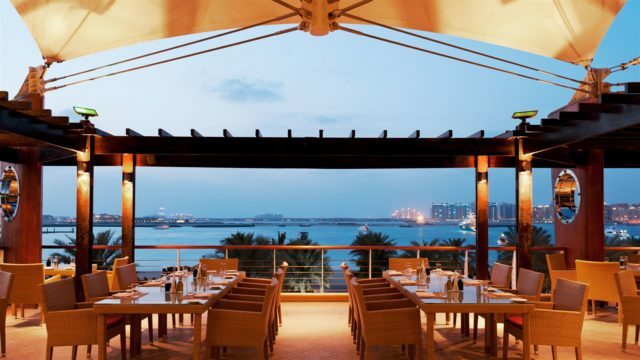 Looking for a quiet, romantic restaurant to try at Palm Jumeirah? 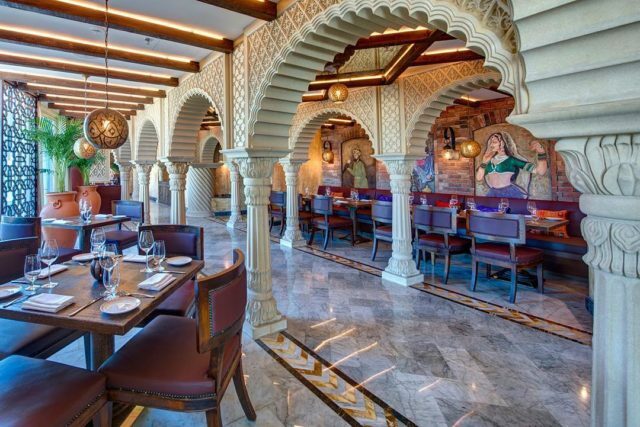 If you’re in the mood for Indian, you need to try out Khyber Dubai. Tucked away in Dukes Dubai, the food at this restaurant bursts with flavour and is absolutely delish – especially the Punjabi Samosa Chaat and Dal Makhani. If pizza is the key to your significant other’s heart, there’s no place more impressive than Bussola Dubai. The restaurant has its own pizzeria on the top deck, with Marina views, date night vibes and some of the most dough-licious pizzas in the city. If you and your date can never decide on what to eat, Teatro is the perfect choice for the two of you. With Chinese, Indian, Japanese and Italian dishes on the menu, you can choose any of the four cuisines, or even a mix of all. With its friendly staff, prompt service and delishhh food – this is definitely one to try for date night. 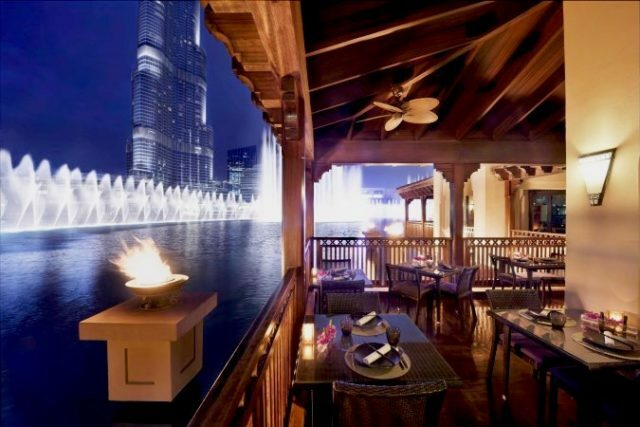 It’s known to be one of the most romantic restaurants in Dubai, and we couldn’t agree more. If you’re looking to impress your date, 101 Dining Lounge & Bar is the place to go. 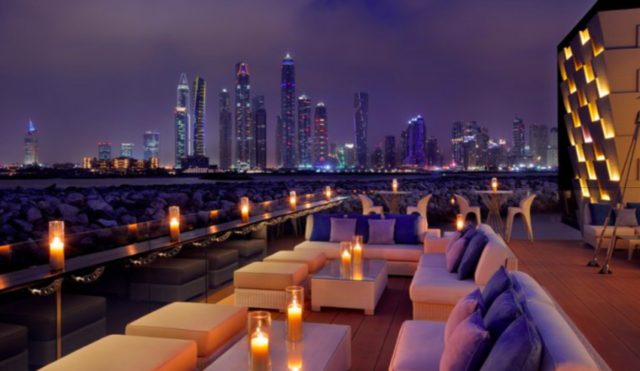 With a private marina, panoramic skyline views, live music and sensational seafood, this outdoor fine-dining restaurant is as classy as it gets.